Protect your home. 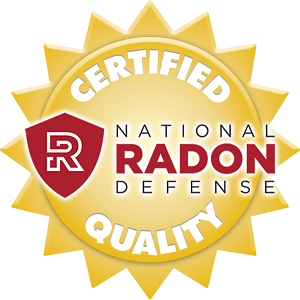 Keep your home radon free with expert mitigation services. If you believe that radon gas is intruding into your home, it's time to take action against it. Doug Lacey's Basement Systems of Alberta can help you, by providing radon gas mitigation for your home. It's easier than ever to get your home tested for a radon problem! Doug Lacey's Basement Systems can perform an inspection and conduct a radon test in your home in as little as two days! To contact us, call 1-833-436-1098 or contact us online today! We service all of Alberta, including Calgary, Chestermere, Cochrane. 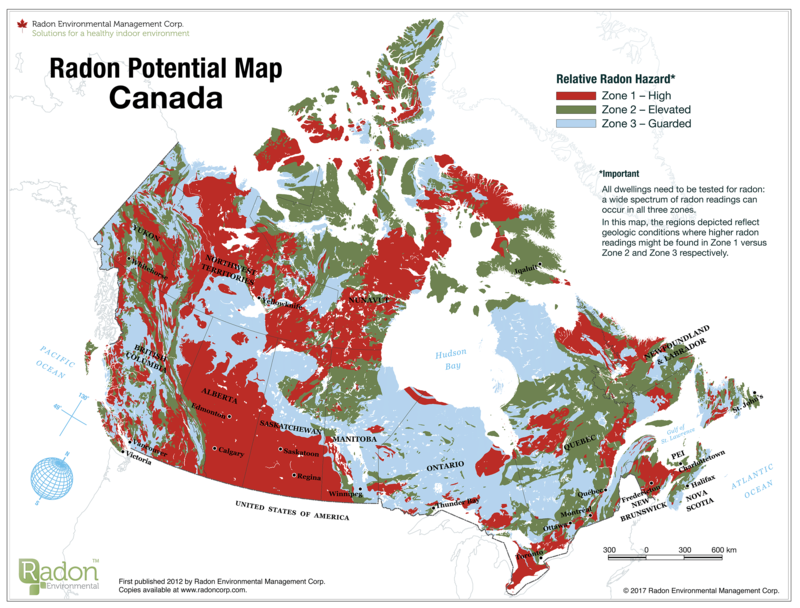 See your home's potential risk for radon gas with this radon potential map of Canada. 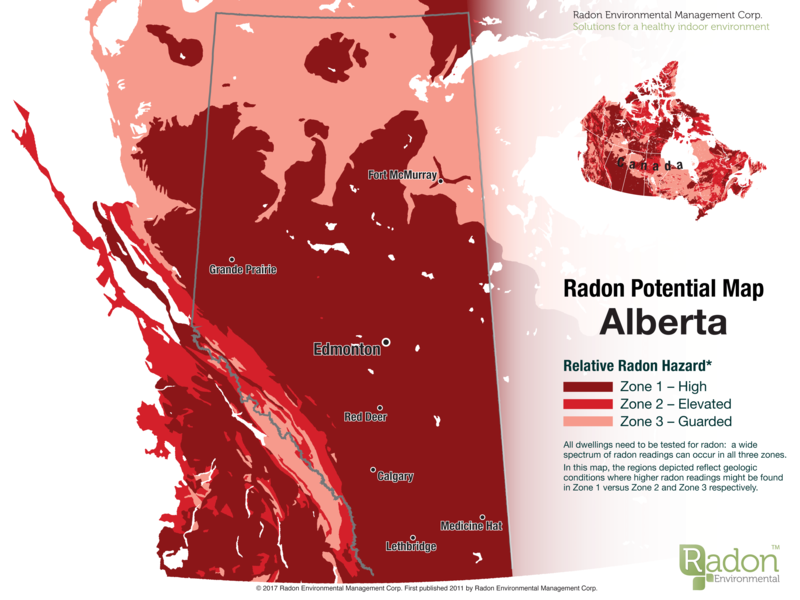 This map helps Alberta home owners determine the potential risk for radon gas in their homes. Homes with crawl spaces are a high risk for radon issues. Radon level at which a mitigation system is needed: 200 Bq/m³. Doug Lacey's Basement Systems' radon mitigation system uses sub-slab depressurization to reduce radon levels. As a full-service radon mitigation contractor, Doug Lacey's Basement Systems can also install a radon mitigation system that is compatible with the current waterproofing system in your basement or crawl space in Airdrie, Okotoks, Cochrane, Chestermere, Brooks, High River and homes nearby!